Cocktail pools. Sculptural fire pits. Outdoor spaces are getting fancy these days. But as it turns out, if you’re looking to put your house on the market for top dollar, you should really be considering a far simpler update. 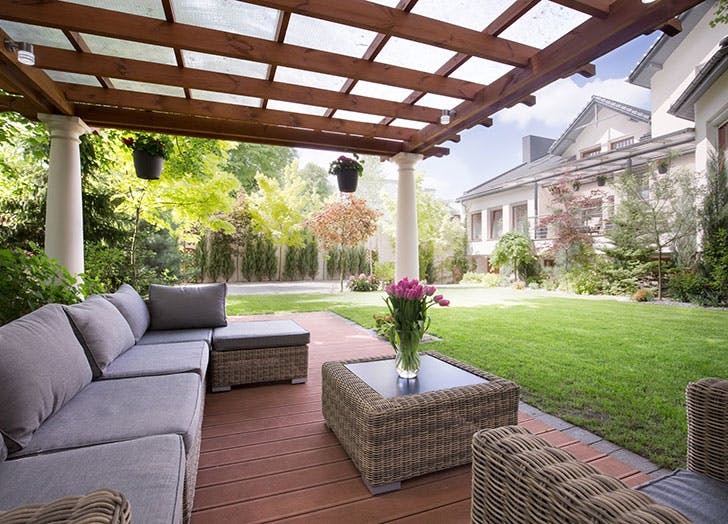 According to a recent study by realestate.com, homes with pergolas in the backyard ended up selling for an average of 25 percent above asking price. Whoa. We must say, we get it: A shady structure does SO much to define an outdoor living space and make it feel straight out of Fixer Upper elevated. And it doesn’t cost a fortune or take a lifetime to achieve a pergola either. Easy win for outdoor entertaining, easy win for retirement plans.